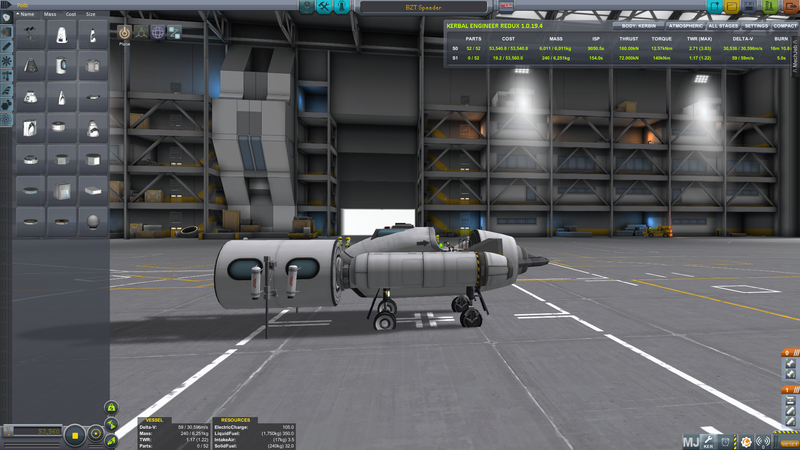 A small jet powered speeder for cruising around KSP. It was built as a scout to undock from a refueling mothership landed on Laythe. Comes with a crew delivery cabin, just move your Kerbals into the speeder’s cockpit, then stage away the cabin!